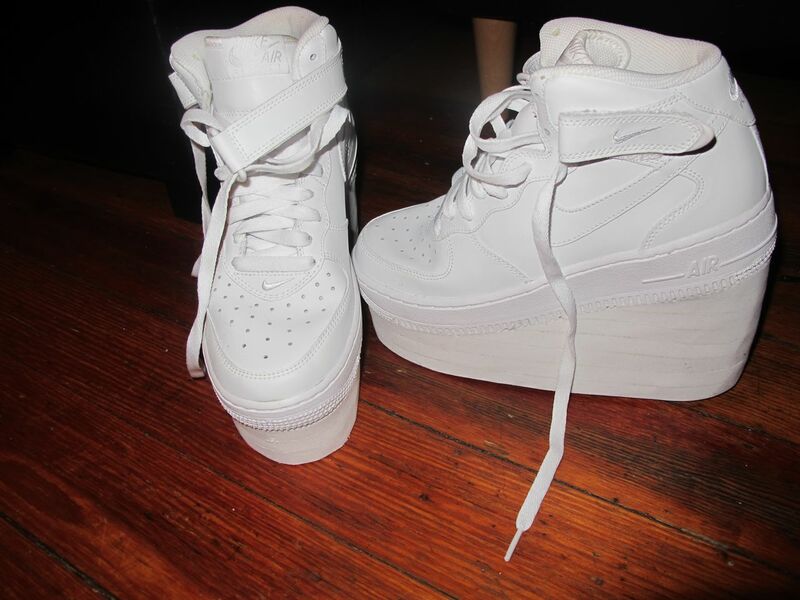 For the past couple of weeks, I have been drooling and day-dreaming about 5-inch-platform custom Air Force One′s. I have been searching the web for platforms but no luck. Then I thought to myself custom-made, custom-made! Hello they were made for her. If you do not know, Vashtie is the first lady to design a Jordan shoe and she has directed video's for some major super stars. Dope huh, I know. So it seems to me as though I would have to get my pair made or try to make it on my own. I design clothes, not shoes. Hopefully I'll try one day.